It’s Yard Sale Saturday, so with only a bit of procrastination we packed up the car and headed out. Our actual destination is Merritt Island Wildlife Refuge, and Caneveral National Seashore, however, stopped at the 7 yardsale signs we happened across. Finds … not much. Most the yard sales had kids stuff and dishes, neither of which I need. I did, however, pick up a handful of CD’s, as the Spectrum radio station XM plays a Celtic Crush thing on Saturday mornings, which really isn’t my thing. 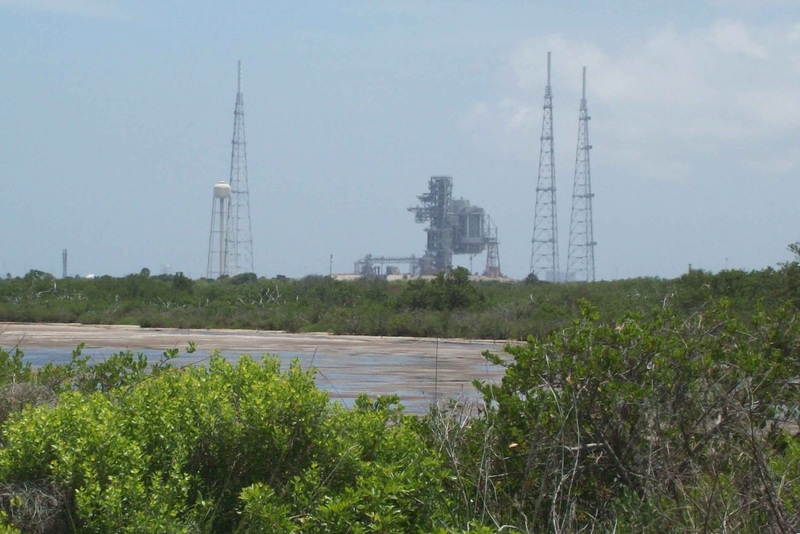 Kennedy Space Center is on Merritt Island. The rest of the Island is a Wildlife Reserve and a National Park. 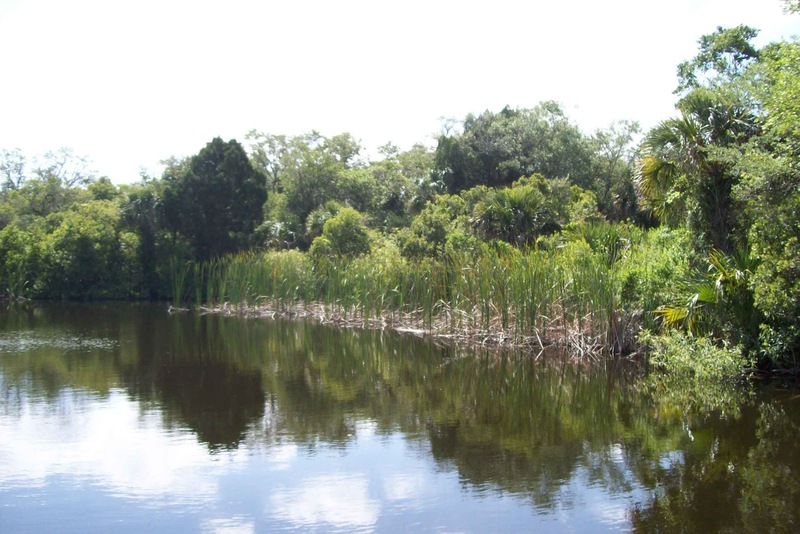 Most of the area is wetlands with a wonderful healthy eco-system in place. We took a little nature hike on the boardwalk at the visitor center and saw nesting Osprey; two adults and two rather large babies. (No pictures as our camera isn’t of that quality). From there, we moved down the road and viewed the Manatees …. 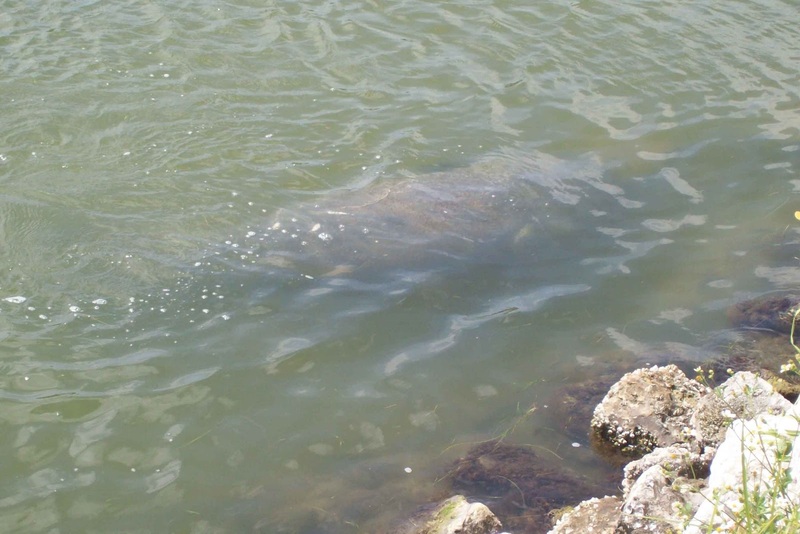 Can you tell this is a Manatee? The National Park area includes 7 miles of pristine beaches with great visitor access areas. We made up a picnic and enjoyed lunch on the beach, along with a bit of sunbathing and a stroll. Again no pictures; left the camera in the car. 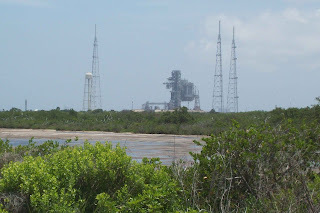 But, Beau did get a great picture of the backside of the Space Launch area. This is a beautiful area. The beach is incredible; there are many boat and canoe access areas and is a birdwatchers bonanza. I highly recommend anyone passing through the area put this on their list. Or, if you just want to dream about it, I've included links above. From there, we stopped by an incredible junkie Flea Market and then checked into yet another hotel, hung out at the pool, dinner at a local Steak house, and movies on TV. Big plans for tomorrow … start towards home, stopping at 6 flea markets, as we come across them. The goal being finding locations that are actual flea markets and not vendor markets. I’m heading back to mixed media sculptural art and I’m in search of inspiration. So this is what a road trip is like. How fun to have yard sale/flea mart thrown in! S'pore is so small, there's no such thing as a road trip. You go somewhere then you go home! Cool on the manatee! 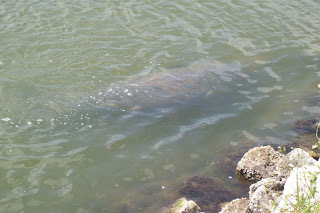 I never realized it, but there are allegedly manatees out at Big Branch Marsh NWR (in Lacombe,) as well.